It is always vacation time in Mozambique at Massinga Beach Lodge. 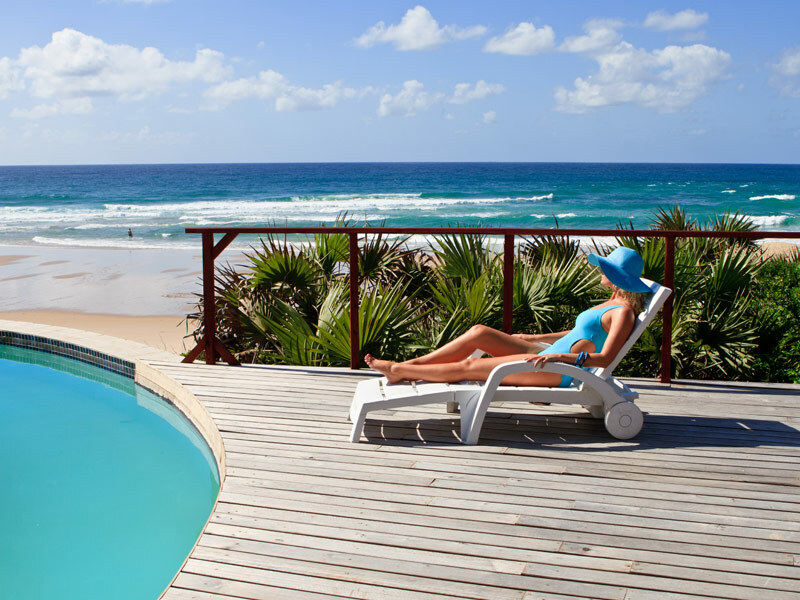 An Inhambane destination known and loved for its innate romance, its breath-taking setting and its luxurious facilities. Where else can you indulge in top class deep sea diving, swim in a wonderful pool with views over the Indian Ocean, walk for miles along white sugary beaches and drive through rural villages to find real seclusion and connection to nature? When you are on vacation at Massinga Beach Lodge, you can walk to from your villa to the main public areas of the lodge by stone walkways – or catch a golf cart ride! Choose a recliner at the beach bar or chill with a book in the library – relaxation is so easy. Order dinner in your room – fresh crayfish and crab curry are some of the delectable dishes you will be served. The beach bar is a recipe for indulgence supreme. The stunning setting and daily coconuts for breakfast make every guest’s holiday even better. Go snorkelling at Fingers or just swim in the breakers every day in front of your suite. To crown it all, the staff too are fantastic. The good news is that Massinga Beach currently offers some of the best beach holiday packages available in Mozambique. Book into stunning ocean view rooms for families where children can enjoy the extra sleeper couch bed and amazing stand-alone bath tubs almost force you to lie in the bubbles as the sun sinks below the horizon before you. Your Mozambique vacation is all about getting a taste of real luxury and romance, with a sprinkle of outdoor activities thrown in. It is an easy walk to go kayaking, play table tennis or pool at the beach bar, rock fishing right off the beach and even playing disc golf in the palm trees. Or simply laze around the wonderful pool and meet new friends. Do as much as you choose or do as little as possible – simply enjoying your beach villa and all its amazing facilities. This is the place for romance, family reunions, couples rediscovering the magic and complete relaxation. All you have to do is book the Massinga Stay Pay Special Mozambique holiday where you get one night free on top of all your meals, sumptuous accommodation and special services. Stay for 5 nights, but only pay for 4; or stay for 7 nights and only pay for 6. Jump right in there and book your place when the timing is right – which is always as Mozambique is a top vacation destination every month of every year. For South African honeymoon couples, a special dreamy package includes romantic turndowns, a private dinner for 2 and special attention to detail during your stay. The lucky bride gets 40% off her accommodation, if you stay for a minimum of 4 nights. Honeymoon packages includes your return airport/lodge transfers, all meals, Mozambican VAT, most drinks, non-motorised water sports, indoor games, beach bicycle riding and coconut cutting demonstrations. 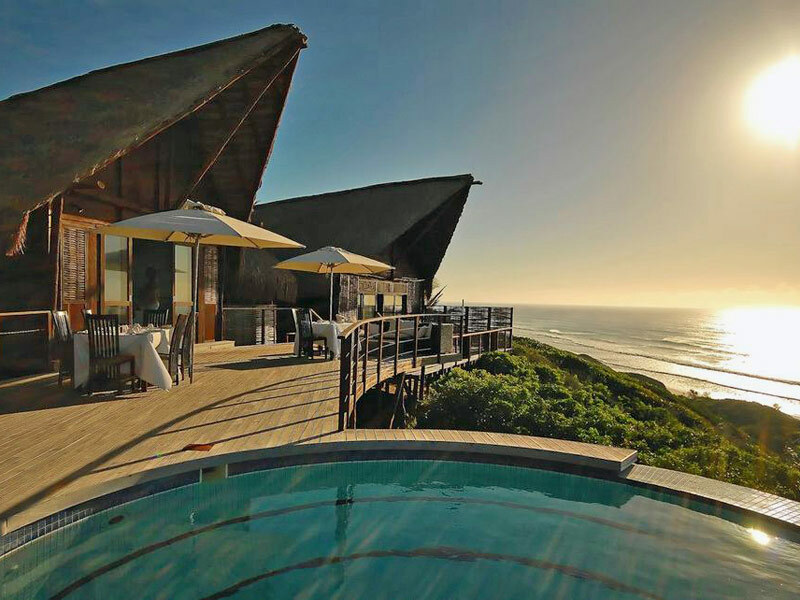 Massinga Beach Lodge is remote enough to guarantee privacy and connection to the ocean setting yet still close enough to Inhambane for supplies or an outing to a restaurant or market. All you need to do is admire the views, gasp in awe at your lovely suites and settle in with a cocktail or two. Contact Mozambique Travel today to secure your suite with ocean views, private plunge pool and staff who pre-empt your every need.